They are not behind the lines; there are no lines, only a 360-degree battlefield. They are America’s unsung heroes. Recently, our nation’s colors were lowered to half-staff at a tiny contractor outpost tucked away among the foothills of Afghanistan. It is a sober reminder of the grievous cost that comes with doing business here. Sadly, however, most Americans will not know of the sacrifice behind this solemn act; neither will they know of the hundreds before who have perished. Never has American military intervention relied so heavily on the involvement of Department of Defense- and State Department-backed U.S. civilians as it does today. Lured to service out of sheer necessity, our nation has raised what is, in effect, a civilian army — one that is decisive in waging today’s wars. Since Sept. 11, 2001, thousands of these civilian military personnel have deployed in direct support of Operation Enduring Freedom and Operation Iraqi Freedom. Hundreds have paid with their lives; many hundreds more have been wounded. Independent contractors, subcontractors and a multitude of government employees are performing countless functions critical to the success of ongoing combat operations and reconstruction projects. They are immersed in the training and equipping of Iraqi as well as Afghan security forces. They have implemented never-before-possible infrastructure and quality-of-life programs critical to the health, morale and welfare of our troops. They provide individual and collective security measures at nearly every installation in theater. Today’s civilian military personnel are as essential to the accomplishment of coalition objectives as any soldier, sailor, Marine or airman in uniform. Civilian military personnel in combat zones not only match deployment ratios of their servicemember brethren, they routinely exceed them. Not unlike their military counterparts, they are volunteers and patriots who have evolved into a form of combatant directly backing uniformed fighting forces. They are safeguarding America’s survival and economic interests — in fact, defending the Constitution of the United States “against all enemies, foreign and domestic.” Replicating these contributions would require the addition of a great many fully manned military organizations — a luxury our all-volunteer forces can ill-afford. Members of the armed forces engaged in the fight to defeat terrorism will receive formal recognition upon completion of their overseas tours. In contrast, the vast majority of civilians get nothing. There are no less than 14 decorations and other awards specifically intended to honor the service of contractors, subcontractors and government employees. Yet it is rare to find anyone who has benefited from such accolades. DOD awards policies governing civilian military in war zones, if any do exist, sadly lack implementation. The American people rallied to the heroic efforts of firefighters, police and paramedics when the towers fell and rightly so. We must now pay tribute to the legions of civilian military personnel who have reinforced the ranks of coalition forces in the global war on terror. These new-age warriors are defending American freedoms wherever and whenever there is fighting. They are not behind the lines; there are no lines, only a 360-degree battlefield. They are America’s unsung heroes. Command Sgt. Maj. Gerald T. Peil (retired) is an independent contractor in Afghanistan. As should be well known by now, the bulk of private military contracting issues does not involve people carrying and using weapons. It does involve a myriad of logistical functions, which may be dull to the average person but are critically important to the ultimate success of any military mission. It is now a year and a half since Iran jailed three American hikers on trumped-up spying charges. The three, Shane Bauer, his fiancée Sarah Shourd, and Josh Fattal were detained on July 31, 2009; Shourd was released on September 14 of last year. Recalling the hostage crisis that helped bring down Jimmy Carter in 1980 and that ended on the twentieth of January thirty years ago, it is striking that the Administration appears only mildly disturbed that they continue to sit in jail—as does Congress. Nor are Bauer and Fattal the only American hostages. The USAID contractor Alan Gross has been imprisoned in Cuba for 13 months now. He was there to help the tiny Cuba Jewish community connect with Jewish communities around the world, and for this “crime” he is accused of espionage. If that verdict of Administration indifference seems too harsh, it is striking that the Administration just two weeks ago announced a loosening of travel restrictions to Cuba whose goals include to “enhance contact with the Cuban people and support civil society through purposeful travel, including religious, cultural, and educational travel” and especially to “Allow religious organizations to sponsor religious travel to Cuba.” To encourage contact with religious communities in Cuba while the last guy who tried remains in jail does not suggest that Mr. Gross’s release is at the top of the Administration’s agenda. 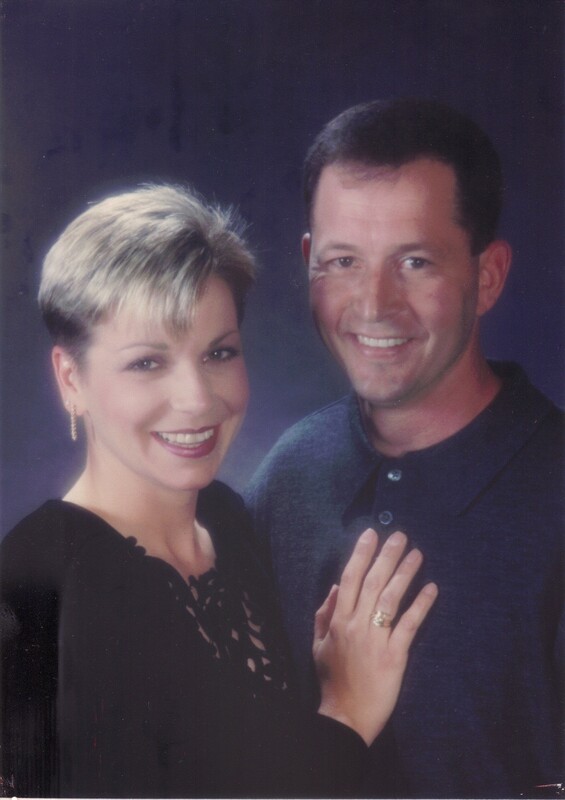 HUNTSVILLE, AL — A couple from Harvest are scheduled to go on trial this morning in Decatur on nearly $3 million in federal bribery and money laundering charges stemming from Army contract work in Kuwait and Iraq. U.S. Army Maj. Eddie Pressley, an Army contracting officer, is charged with taking $2.8 million in bribes from a defense contractor in exchange for approving an open-ended contract to provide bottled water and fences in Kuwait and Iraq. Prosecutors allege the deal occurred while Pressley was serving in Kuwait from October 2004 to October 2005. The contractor, Terry Hall of Georgia, pleaded guilty to bribery and money laundering last year. Hall allegedly received $9.3 million from the arrangement with Pressley and a total of $21 million in contract work in dealings with other Army officials who have also been charged in the case. Along with the bribery charges, the government charged the couple with money laundering of the bribery funds. They allege Mrs. Pressley set up bank accounts in Madison, Dubai and the Cayman Islands, between 2004 and 2007, moved money around and later bought property and cars. The case is to be heard in the U.S. District Court in Decatur, before U.S. District Judge Virginia Emerson Hopkins. The prosecution is being led by the U.S. Department of Justice’s of Public Integrity Section, which operates out of Washington, D.C.
Eddie Pressley is being represented by attorney Clyde E. Riley of Birmingham. Eurica Pressley’s attorneys are Robert Joe McLean and Thomas J. Spina, also of Birmingham, according to court records. The defense industry is facing a changed — and some say more tense — relationship with the Defense Contract Audit Agency since the organization, under criticism from the Government Accountability Office, took steps to be more independent. “While DCAA got criticized for being too lax, now they’ve gone to the other extreme,” said James J. Gallagher, a partner at McKenna Long & Aldridge. The DCAA conducts audits meant to ensure the government gets a reasonable price for contracted services and supplies and that contractors are using the right methods, including accepted accounting and billing systems, to charge the government. In fall 2009, the GAO released a report blasting the DCAA’s independence as compromised and concluding that the agency was failing to protect the public interest. This update reports DoD contractor personnel numbers in theater for the first quarter of 2011. It covers DoD contractor personnel deployed in Iraq (Operation New Dawn (OND), Afghanistan (Operation Enduring Freedom (OEF), and the U.S. Central Command (USCENTCOM) area of responsibility (AOR). In 1st quarter FY 2011, USCENTCOM reported approximately 176,161 contractor personnel working for the DoD in the USCENTCOM AOR. The number of contractors outside of Iraq and Afghanistan make up less than 2% of the total contractor population in the USCENTCOM AOR. Over the past year there have been consistent decreases in Iraq and slight increases in Afghanistan. We expect these trends to continue. There are currently 71K DoD contractors in Iraq. This represents a 4% decrease as compared to the 4th quarter 2010. The military to contractor ratio in Iraq is now 1 to 1.29. In Iraq there is a focus on consolidating, de-scoping and cancelling contracts. We expect further decreases in the overall number of contractors as FOBs close and the military footprint is reduced later in FY11. DoD and DoS are conducting detailed planning for post-2011 contract support. *Includes Defense Logistics Agency, Army Materiel Command, Air Force External and Systems Support contracts, Special Operations Command and INSCOM. There are currently approximately 87.5K DoD contractors in Afghanistan. The military to contractor ratio in Afghanistan is 1 to 0.84. Recent efforts to develop strategies to improve the viability of business in Afghanistan include developing a more skilled workforce, increasing business opportunities, increasing community cash flow, improving public infrastructure such as roads and utilities and community organizational capacity to maintain economic governance. All of these initiatives have a direct influence on the hiring of Afghani local nationals. Local Nationals make up approximately 53% of the DoD contracted workforce in Afghanistan. KABUL — A suicide bomber riding a motorcycle packed with explosives rammed into a car carrying the deputy governor of Afghanistan’s southern Kandahar province on Saturday, killing him and wounding three of his bodyguards, the Interior Ministry said. The attacker struck as the official, Abdul Latif Ashna, was being driven to work in the provincial capital, said a ministry spokesman, Zemeri Bashary. The Taliban claimed responsibility for the attack. In a text message to reporters, Taliban spokesman Qari Yousef said the suicide bomber killed the deputy governor as well as three of his body guards and his driver. U.S. ambassador to Afghanistan, Karl Eikenberry, who was travelling in Kandahar, and Afghan President Hamid Karzai condemned the assassination. The government contractor formerly known as Blackwater asked a federal judge Friday to reconsider his ruling that allows a lawsuit to proceed in the 2007 shootings of Iraqi civilians. Federal judge Terrence Boyle issued an opinion earlier this week remanding a suit against the N.C.-based company to state court. the city police chief’s office said Saturday that while there were foreigners among the wounded, only Afghans died. killed nine people Friday, including five foreign women and a child, Afghan authorities said. A senior Afghan official said four of the dead were Afghans and four were Filipino women. At least 17 people were hurt. KABUL—Two Canadians were among 15 people injured in a deadly suicide blast that ripped through an upscale Afghan supermarket on Friday, the Department of Foreign Affairs said. Fifteen other people were wounded, including a Briton, a Canadian and three Filipinos, he said. Four foreign women and one man died in the blast, said Mohammad Zahir, the chief of criminal investigation for the Kabul police. Among the Afghans killed was a young child, he said. Fifteen other people were wounded. 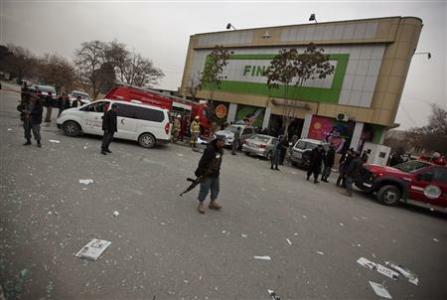 KABUL, Afghanistan (AP) — A U.S. Embassy spokeswoman in Afghanistan says no Americans have been identified yet among the eight people killed today by a suicide bomber in a grocery store in the Afghan capital. Initial reports said two Americans were among those killed, but the embassy says those reports were premature. Officials say the victims included five foreigners. The attack took place in a high-end grocery in a heavily-guarded district of Kabul that is home to many diplomats and Westerners. The American embassy said: “Numerous innocent Afghan and international civilians were killed and wounded in this senseless act. Afghan intelligence officials said four Filipinos and two Afghans were confirmed among the dead when a lone gunman opened fire, threw at least one grenade and then detonated his explosive harness. The powerful blast killed at least 8 people including three western women who were shopping in the store at the time and injured six. Sayed Kabir Amiri, the Kabul hospitals chief, said five people were treated in emergency rooms and eight others admitted. At least three foreign men, he added, were among the injured. An attack by a suicide bomber on a busy Kabul supermarket close to the British embassy has killed eight people, including one child and wounded six, including up to three foreigners. Afghan security officials were still removing bodies from the upmarket Finest supermarket in the Afghanistan capital’s diplomatic neighbourhood as distraught relatives waited for news. Kabul’s police chief, Mohammad Ayub Salangi, confirmed claims by witnesses that today’s attack was carried out by a single suicide bomber. In a text message sent to the Guardian and other media organisations the Taliban‘s spokesman claimed responsibilty for the blast, saying they were targeting the “head of Blackwater company in Afghanistan”. There is no confirmation that any employee of the private US security contractor, now know as Xe Services, was in the shop at the time. A supermarket worker, who had been packing customers’ shopping, said he heard two grenades being thrown on the ground. He initially thought were falling glass bottles but when he saw they were grenades he sprinted out the front door seconds before the blasts, which were followed by the main explosion of the suicide bomb. Since 2004, Congress has appropriated nearly $2.64 billion for CERP projects in Afghanistan. CERP enables commanders to fund humanitarian relief and reconstruction projects to immediately assist the local population. RALEIGH, N.C. (AP) — Survivors and estates of Iraqis killed during an infamous 2007 shooting involving a U.S. security company’s contractors cannot sue the firm or its workers in federal court, a judge ruled Wednesday. U.S. District Judge Terrence Boyle said in his decision that nonresident aliens are typically unable to sue in federal court for injuries sustained outside the country. He sent the case back to a North Carolina court, where the lawsuit was initially filed. “We intend to vigorously pursue our claims,” said attorney Jim Roberts, who represents the Iraqi survivors who brought suit. He said he was pleased that the case was returning to Wake County. The plaintiffs had argued that nonresident aliens are permitted to sue in North Carolina courts. The lawsuit accuses the security company formerly known as Blackwater and its contractors of wrongful death and negligence in the shooting that killed 17 Iraqis in Baghdad’s Nisoor Square. It was filed on behalf of three people killed in the shooting — Ali Kinani, Abrahem Abed Al Mafraje and Mahde Sahab Naser Shamake — along with survivors of the dead and others who were wounded. Attorneys for the company, now known as Xe Services, argued last year that Blackwater contractors were essentially acting as employees of the U.S. government because they were providing security to State Department personnel. Because of that, the government should serve as the target of the lawsuit, lawyers argued. Boyle did not issue an opinion on that question. An attorney for the company did not immediately return a call Wednesday. The Blackwater shooting became a flashpoint of the Iraq war, straining relations between Washington and Baghdad. Five of the company contractors were initially charged with manslaughter for their role. A federal judge dismissed those charges a year ago, citing missteps by the government. Blackwater has not spent on dime on DBA insurance. 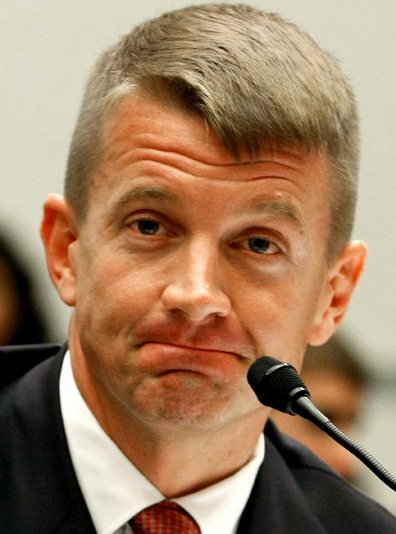 Eric Prince even testified before Congress that DBA insurance was cost reimburable to Blackwater. If the survivors are being paid DBA benefits it is the insurance company paying them, not Blackwater. The Insurance Company will be reimbursed any benefits they pay out plus an administrative fee by the US Taxpayer. While we’re on taxpayers, these four slaughtered sons were misclassified by Blackwater as independent contractors for tax purposes and misrepresented as employees for the purpose of obtaining DBA insurance. Blackwater has not missed a profit aside from their legal fees which would have been better spent supporting these families. Visitation will be in the J.W. Call Funeral Home Chapel at 12 noon on Saturday. 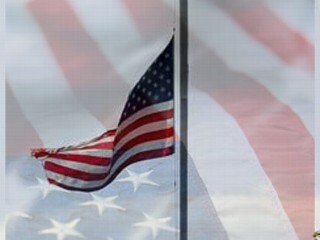 Funeral services will be 1:00 p.m. Saturday, January 29, 2011 in the J.W. Call Funeral Home Chapel. Burial will follow in the Johnson Memorial Park at Pikeville, Ky.
Military services will be conducted at the gravesite by the Wright Patterson Airforce. Rufford Butler “Hobby” Hobson, age 79, of Hickory Creek, Texas, passed away, December 19, 2010 in Hickory Creek, Texas. He was born in Floyd County, Kentucky on October 9, 1931 the son of the late Edgar and Hazel Nunnery Hobson. Along with his parents, he was preceded in death by one brother, William Edgar (Billy) Hobson. He served in the US Army and then the US Air Force where he retired a CMsgt. He continued to serve his country in Bomb Disposal until his death. He served in Korea and Vietnam. He loved his country. 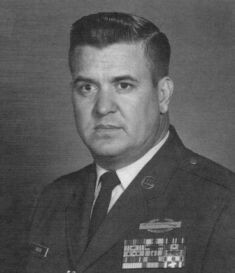 Among his many achievements in the Air Force were, Bronze Star, Air Force Conduct Medal with Six Oakleaf Clusters, Small Arms Expert Marksmanship Ribbon, NCO Professional Military Education Ribbon, Army Good Conduct Medal with Three Knots, Korean Service Medal with One Star, Air Forc Longevity Service Ribbon with Six Oakleaf Clusters, National Defense Service Medal with One Star, Vietnam Service Medal with Four Bronze Stars, Republic of Vietnam Gallantry Cross with Palms, Republic of Vietnam Compaign Medal, United Nations Service Medal, Air Force Presidential Unit Citation, Meritorious Unit Citation, Air Force Outstanding Unit Award, Air Force Commendation Medal, Meritorious Service Medal with One Oakleaf Cluster, Vietnam Honor Medal, Combat Infantry Badge, Master EOD Badge, Master Missile Badge. He is survived by three daughters, Rhonda Coleman (Ronald) of Tampa, FL, Deborah Bass (Eugene) of Seffner, FL and Belinda Torres (Andres) of Seffner, FL. Two sisters, Josephine Hall of Pikeville, KY and Gaye Hall of Banner, KY. Seven Grandchildren, Mark Coleman, Jerry O’Neill, Dale O’Neill, Jennifer Tellez, Gene Bass, Ariel Torres and Yesenia Tores. Ten Great-Grandchildren, Anthony Coelman, Drew O’Neill, Andrew Coleman, Dustin Coleman, Hayley Farr, Katelyn Farr, Gabriel Tellez, Kaylee O’Neill, Anneliese Tellez and Elaine Torres. Serving as Pallbearers will, Eugene Bass, Andres Torres, Jerry O’Neill, Dale O’Neill, Gene Bass and Drew O’Neill. In lieu of flowers, contributions in his memory may be made to the D.A.V. Chapter of Johns Creek, 658 Rock Road, Pikeville, Ky. 41501.